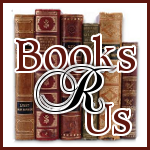 Ginger High- Books R Us: GUEST POST BY R. H. JAMISON AUTHOR OF PERSUASION: A LATTER-DAY TALE. GUEST POST BY R. H. JAMISON AUTHOR OF PERSUASION: A LATTER-DAY TALE. Persuasion: A Latter-day Tale published by Cedar Fort Books. Thanks For stopping by. Love notes aren’t just for lovers. I’ve written love notes to my parents, my kids, my friends, and my siblings. Everybody loves a love note. It’s the perfect recession-proof valentine’s gift. It’s also a great way to rekindle a relationship that’s gone a little flat. It’s important not to limit yourself. Don’t worry about making your note a certain length. A good love note can be really short or really long or somewhere in between. If you want to draw a picture, go ahead. Your note doesn’t all have to be original either. If there’s a song or poem that reminds you of that person, write down the lyrics. One of my favorite love notes from my husband is a collection of quotes that reminded him of me. The classic love note in literature is usually a confession of feelings that haven’t been obvious up to that point. This is, of course, the most risky and most romantic love note. Chances are, though, that most love notes you write go to people who already have a clue about your feelings. That doesn’t mean that they won’t love to see them in writing. When Anne broke off her engagement seven years ago, she thought she’d never see Neil Wentworth again. But when Neil’s brother buys the house she grew up in, it seems fate has other plans in store. Anne is unprepared for the roller coaster of emotions that come when Neil returns and starts dating her younger friend. Convinced that Neil could no longer have strong feelings for her, Anne pushes away all thoughts of the past. But when the handsome man she’s been dating decides he can’t live without her, Anne must come to terms with her past. Fans of Jane Austen’s Persuasion will enjoy this modern version of her most romantic story.